Here’s a really quick and simple tip. If you’re including video in your email newsletters and e-shots, you’ll know that at the moment, most email clients don’t support embedded videos. So you might be thinking your only option is some hyperlinked text saying “Watch the video…”. The best way to massively increase clicks for your video is to embed it as a screen grab and overlay a play button onto it, so it looks like an embedded video. Yes, you need to have a text link as well, for people whose email clients are blocking images, but the screen grab will get many more clicks. Below are two examples from a client e-newsletter I produce, which prove this. The percentage of clicks the image got is shown at the bottom, and clicks for the the text link are at the top. As you’ll see there’s a big difference. In Windows you could use the built in snipping tool, or if you’ve edited the video yourself most editing programs will allow you to take a screen grab of a video frame. To overlay the play button you can do this in most image editing software. You can find a good selection of play button images on iconfinder.com. Do contact me if you get stuck! Adding a prominent subscribe link to your email newsletter is a great way of growing your list. If someone has received a forwarded copy or read the newsletter on social media, by including a prominent subscribe link will enable them to do just that. Most people won’t go hunting for a sign up form on your website so this is all about making it easy for them. If you try and embed a video into your e-newsletter it won’t work properly in most email programs. The email is also likely to get blocked by anti virus software. Technology is changing and embedding videos in emails might become possible in future, but for now a work round is necessary. Here’s a simple technique which I use with great results in clients’ newsletters. Simply pause the video and take a screen grab then add a play button onto the image. Use this image in your newsletter so that it looks like a video screen. You’re likely to get a massive increase in clicks instead of just using a text link saying “Click here to watch video”. 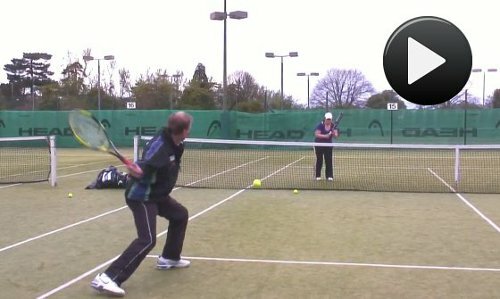 Here’s an example from a series of tennis video coaching tips I made for East Glos Club in Cheltenham. A quick survey. Which of these emails are you more likely to open? The correct answer (according to me!) is Set B.
I receive a lot of e-shots and email newsletters these days with only a person’s name in the “from” section of the email like Set A above. The problem with this is, if you have a large list many of the recipients might not know who the sender is. This increases the risk of them deleting the email without reading it. Another big issue is these days spammers are using real names in their spam messages, to try and make the email look like a personal communication. 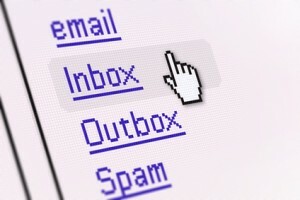 This means spam savvy email recipients are even less likely to open your e-newsletter, unless they know you personally. My tip: Unless you’re so well known that your name alone will suffice (eg. Richard Branson, Alan Sugar) , always include the company name. You could just use the company name on its own, or if you want to add a personal touch, add the sender’s name as well. The examples in Set 2 above use both these approaches. Bonus tip: Use a real “from” email address not a “no reply” address. I often see larger companies using a “no reply” email address meaning the address cannot receive replies. The problem with this is, what happens if a recipient replies with a question or complaint? Their email just gets ignored! I recommend always using an address which can receive replies. Yes, it means you’ll also receive all the out of office replies but you can easily sort all the emails by subject line and delete these, leaving genuine replies to be dealt with. 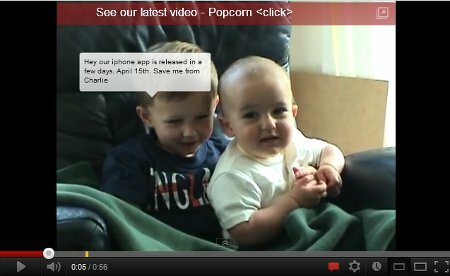 A YouTube annotation is a caption that is added after you’ve uploaded your video. It could be a promotional message or a link to another of your videos. 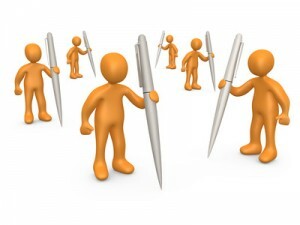 If used wisely and sparingly, annotations can work as a powerful marketing tool. I simply added an annotation which appeared on the video at 00:12 seconds and again at 00:50. It appears this quickly to ensure people see the message soon after video has started. In this case the annotation is quite large but it was only going to be on the video for a month so we were not too bothered about this! It is possible to make the annotations smaller to avoid the viewer becoming distracted. You can also link the annotation to another YouTube video. Below is a good example on the viral video “Charlie Bit my Finger”. They’re promoting a new video and also an iPhone app. EDIT: If you want to get really creative, Suraj Sodha of Rapid Leverage Marketing has a great video tutorial on how to add an interactive “outro” video to an existing YouTube video. If you need some help on adding annotations to your YouTube videos do get in touch. Unless you’re a professional copywriter, I guarantee if you write your newsletter today and review it tomorrow, you will change something. Reviewing your content the following day enables you to look at it with fresh and more objective eyes. 1. Proof read your content. – Are all your images displaying and links working? – Is it displaying correctly in different email programs and on smartphones? – Is it too long? – Are you using short sentences and paragraphs? – Have you got plenty of white space? – Why is this relevant to my subscribers? – How does it add value for my subscribers? What I’m talking about is the predilection amongst some smartphone users to shoot videos vertically, not horizontally. If you shoot smartphone videos this way – and there’s no easy way to say this – you are suffering from Vertical Video Syndrome. Please stop. It just isn’t right. Help is at hand in this video from Mario and Fafa. Creating a YouTube channel for your business is a great way of expanding your “e-footprint” and boosting your SEO (search engine optimisation). Here are some tips on how improve your SEO using You Tube. 1. Ensure your video title is descriptive and contains key words. For example your business name, location and what you do along with the product or service featured in the video. 2. In the video description include a link to your website and keywords. Again include the keywords and repeat them. 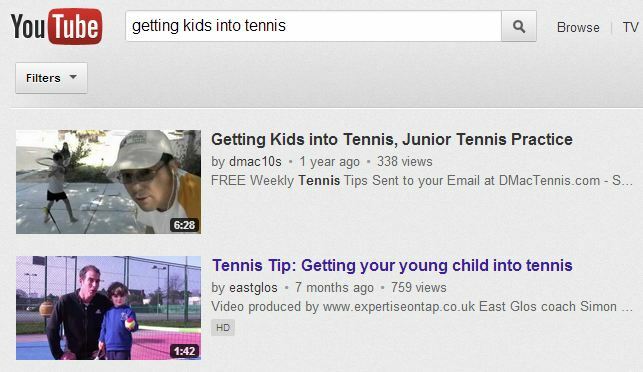 For example if your video is about how to choose a tennis racket, weave that phrase into the description at least two or three times. 3. In the tags section include no more than 10-15 phrases including variants. 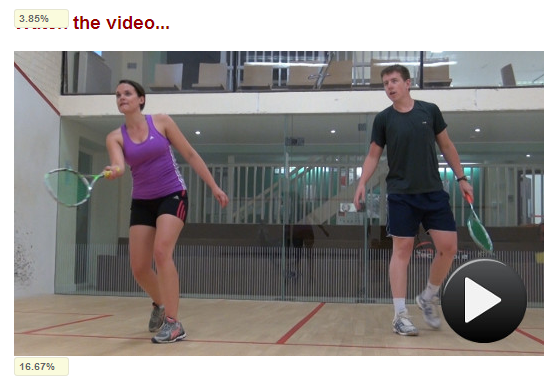 So for a video on choosing a tennis racket also include the alternative spelling of “racquet”. And just as you do for website keywords include phrases of two words of more in inverted commas, eg “tennis racket”. 4. Drive traffic to your channel. The more views your channel gets the higher the impact on SEO. Mention your channel wherever you can and give people a reason to click through. Mention it on Twitter, Facebook, your blog, web forums and in your email signature. 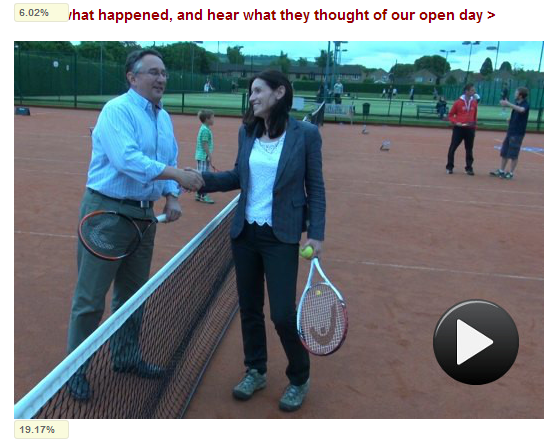 I recently created a series of tennis coaching tips for East Glos Club. Below is an example of how one of the videos appears in a YouTube search at position number two. This is due to implementing all the above. Autoresponders go by a few different names like triggered emails and drip campaigns, but essentially they are an automated email, or sequence of emails sent when a subscriber meets a condition you set. 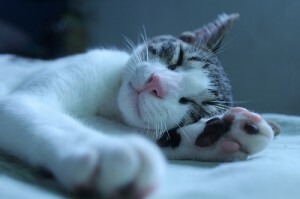 A user subscribes and receives a series of tips, spread across a number of days or weeks. We recently did one of these for a client called ‘17 Days to Better Grammar‘. (Well worth a read by the way!). A customer is getting married. They subscribe on your website and enter their wedding date. They receive 10 weekly tips and things to do in the countdown to the big day. A house owner wants to prepare their house for sale in order to get the best price.. They subscribe on an estate agent’s website and receive weekly tips on what changes they should make. A business wants to add a personal touch by sending an email birthday card to clients along with a special offer. OK, but why set up auto responders? The key benefits of auto responders are customer acquisition and retention. And once set up they work automatically. Like a silent salesman! By providing tips and advice like the examples above you are adding value for clients and at the same time building trust and credibility by sharing knowledge and expertise. 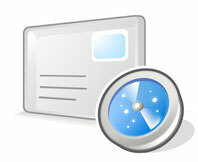 We’ll make it really easy to get your auto responder up and running. Here are some more examples which we’ve recently set up for clients. When you subscribe to the Monty’s newsletter you can optionally enter your birthday and anniversary dates. Monty’s also collect this data from customers who visit the restaurant. 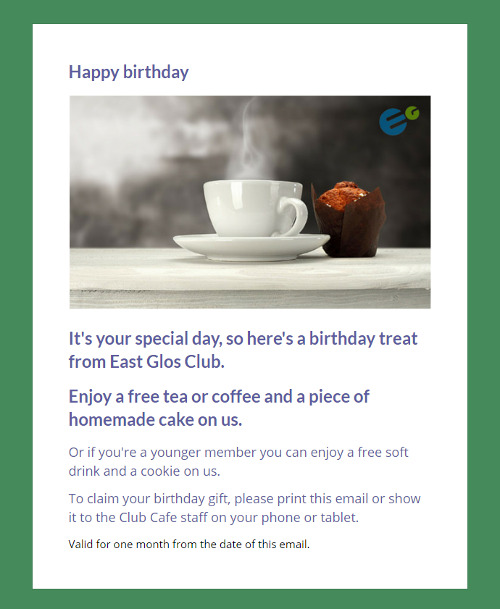 Customers then receive a birthday email and/or an anniversary email every year with a special offer. Because Monty’s is a bar and brasserie we send the emails ahead of the date in question to give people enough time to book. 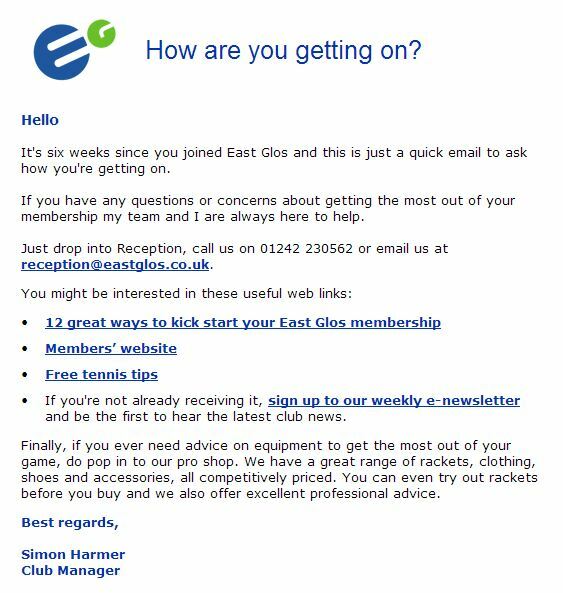 East Glos is a very large club with over 1,000 members and it can sometimes take members a little while to settle in after joining. We send this very simple email to new members six weeks after joining to ask how they’re getting on and to re-assure them that help is available if needed.